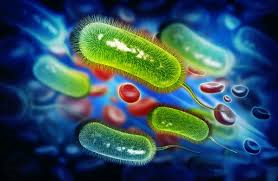 Bacteria, also called "germs", are microorganisms that commonly live in soil and water but develop and grow even in animals and humans. May be responsible for disease or not be pathogens. Indoor environments and conditions for bacterial growth are humidity or standing water that can form in heating systems, by moistening and conditioning but also in various building materials and furnishing. Air sources of bacteria are also humans and animals. Regarding the pathology related to bacteria Legionella Pneumophila, Legionnaires ' disease, in the Italian official Gazette published the "guidelines for the prevention and control of legionellosis" (G.U. # 103 of the 5 May 2000) and the subsequent "guidelines bearing claims on legionellosis for managers of tourist facilities and spas" (G.U. # 28 ofG. UFebruary 2005) in order to build a useful tool to facilitate the detection of cases of legionellosis. Are different depending on the type of bacterium. Pontiac fever and legionnaire's disease (or legionellosis) are typical diseases to neighbouring environments. Thorough cleaning of the House. Maintenance and cleaning of air conditioning systems.